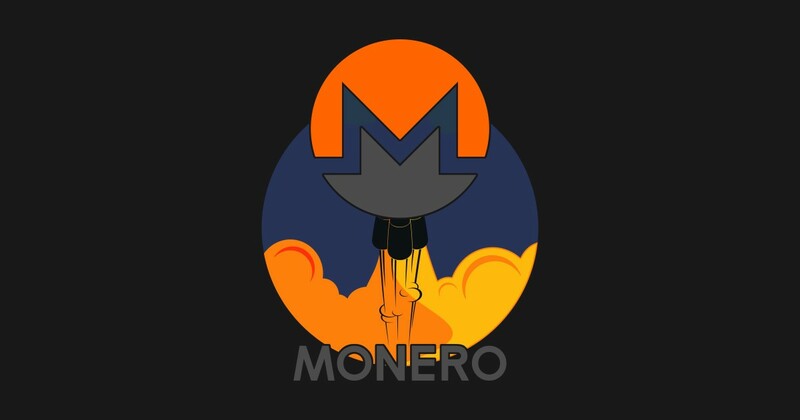 We haven’t talked about Monero in a while, but I’m bringing it back up because it had some notable price activity in the last week or so before getting throttled back to its start position. The chart above is on the H4 timeframe. 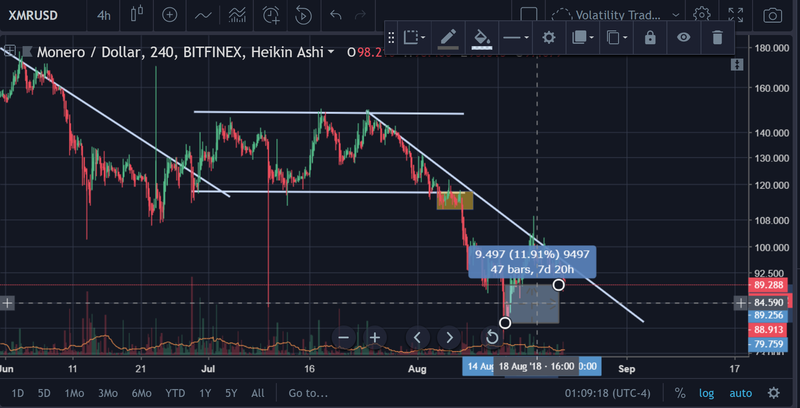 The downtrend line that you see in the above picture stems from July 24th, 2018, which was when the price of Monero was at the top of the traded range that you see in the middle of this picture. 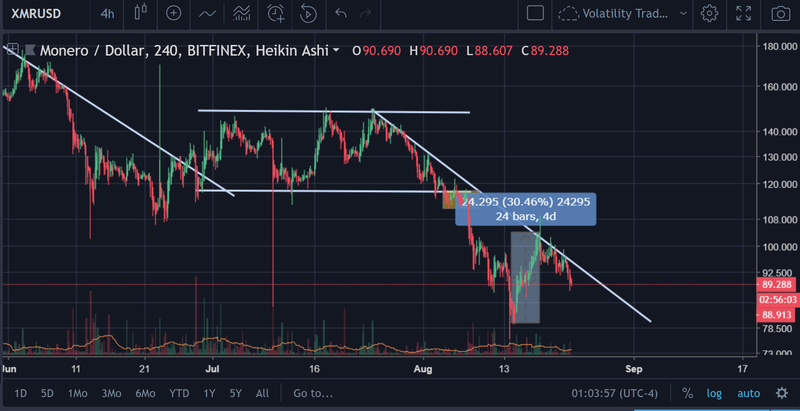 As with all traded ranges, once the price breaks out of either the north or the south of the traded range, you can expect either a precipitous decline or increase. In this case, we saw a precipitous decrease as the price broke down below the south of the traded range. Above, we can see the four day stretch before the price eventually depreciated back to a baseline (around the $90 mark). However, even after the consolidation of price, Monero is still up 12% in the last week. 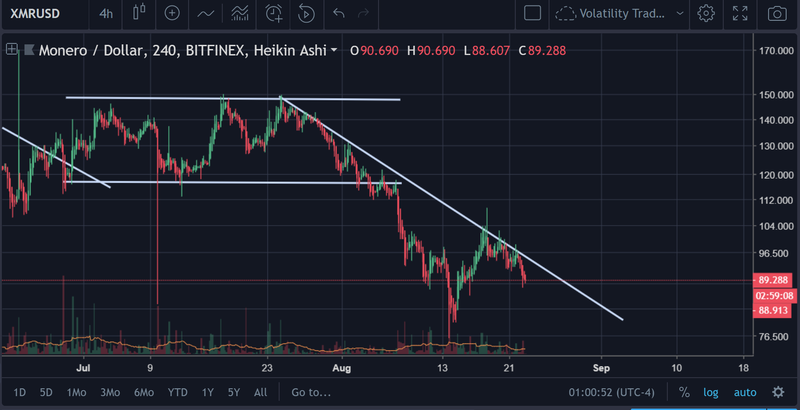 That downtrend resistance is holding strong, so it doesn’t look there’s a whole lot of upside for Monero at the moment. 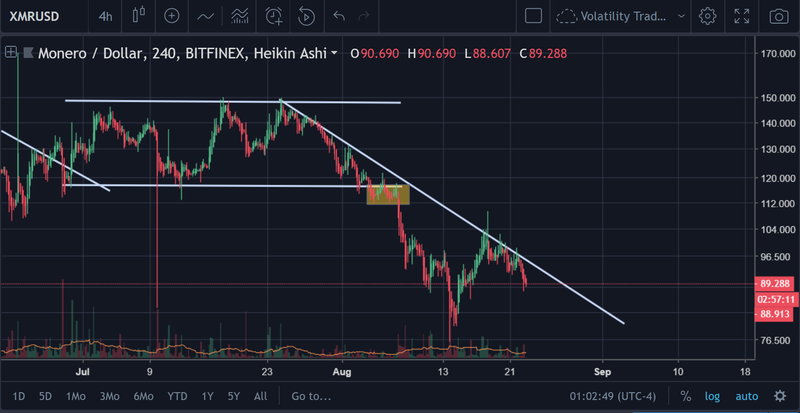 Since there are no short options for $XMR, this is worth waiting to see if it will break over that downtrend resistance from late July. If it does do so, then it would be a solid investment. However, at this point, this is something that is only worth being observed.